State Representative Kyle Koehler is serving his third term in the Ohio House. He represents the 79th District, which includes portions of Clark County. Representative Koehler serves as the Chair of the Agriculture & Rural Development Committee. He also serves on the Federalism committee and the Primary and Secondary Education Committee in the Ohio House. A life-long resident of the county, Kyle graduated from Wright State University in 1984 with a Bachelor’s of Science degree in Computer Science. He spent seven years working for government contractors for the Air Force and Navy as a Senior Software Engineer. He worked on everything from applying artificial intelligence to signal analysis to developing human interface systems for naval aircraft. He returned to the family business as a Vice President in charge of Design and Development in 1990. K.K. 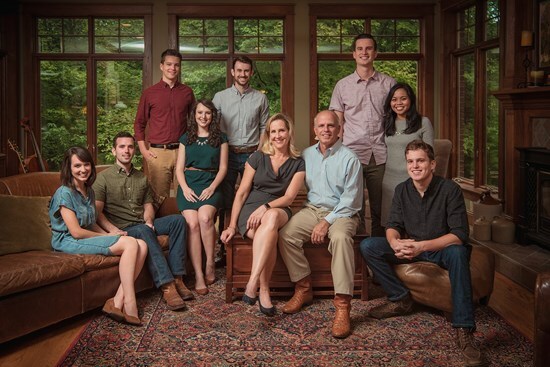 Tool is the quintessential family business in that six of seven brothers and sisters all work together (with the rest of their employees) to make K.K. Tool Company a growing success. Civic involvement is very important to Kyle. He is actively involved with his church, Fellowship Christian Church in Springfield, and a lifelong supporter of Young Life in Springfield. He is also a member of North Hampton Lions Club and Springfield Kiwanis. Representative Koehler and his wife, Kathrin, have been married for 30 years. They have five children. As of July 2018, Kyle and Kathrin have celebrated the marriages of their three oldest children (ages 25, 23 and 21). Their 19 year old son attends Johnson University. Their youngest son will finish up his Senior year in 2019.